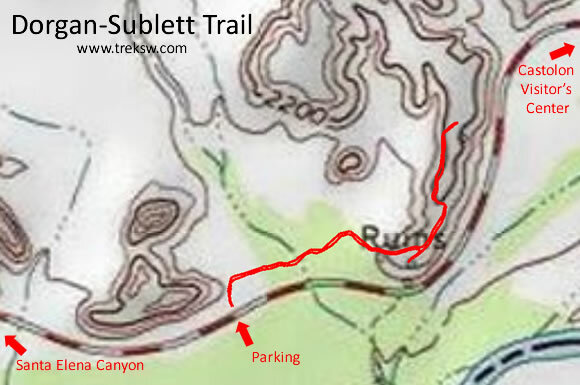 The Dorgan-Sublett Trail is one of the newest trails in Big Bend National Park, being turned into an official trail in 2008. 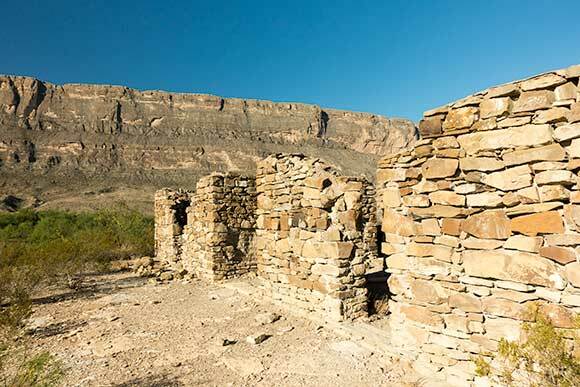 The trailhead for Dorgan-Sublett is now easily accessible in any vehicle, being at the new pull-off on Ross Maxwell Scenic Drive between Cottonwood Campground and Santa Elena Canyon. To get to the trailhead for Dorgan-Sublett Trail (29.154145, -103.579765), take a left out of Park Headquarters at Panther Junction drive about 13 miles to the turn off on the left for Castolon and Santa Elena Canyon. From there you’ll drive approximately 28 miles to to the pull off for the trail on the right. On your way there you’ll pass Castolon Store and Cottonwood Campground. You’ll also see a road sign pointing to the trailhead, so it’s hard to miss. Immediately after setting out on the trail you’ll see the ruins of one of the old farmhouses (see below for more on the history of the area). You can walk up to and around the house to take a look, but try not to touch or disturb anything. From there, you’ll hike through part of the area they farmed (now overgrown with brush and trees) until you start climbing a small hill. At this point, the trail will split, with a small house that some call La Casita on the right, where the farm hands that worked on the farm lived. Just past La Casita on top of the hill, you’ll see the foundation of a building with nothing else. It’s believed that this is all that remains of the Sublett’s house. 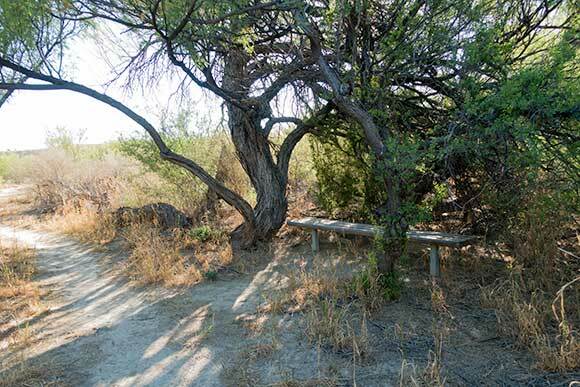 Beyond this point, you’ll start heading across a small saddle to a larger hill where you’ll find the remains of the house that the Dorgan’s built out of cottonwood timbers and adobe bricks. In the picture below, you can see the remains of the central fireplace and the front wall with the doorway. Mr. Dorgan fought as an aviator in the military in World War I, eventually leaving service 1914. He was a jack of many trades, spending time as a supervisor for building operations, working as a real estate agent, and as a landscape architect. 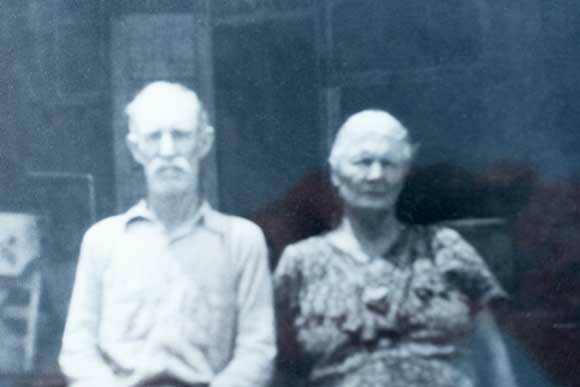 He and his wife, Avis Ann Dorgan, lived in Big Bend until 1938. After moving away they kept their property, leasing it out to tenant farmers until they sold it to the park in the 1950s. Before his partnership with Albert Dorgan, James Sublett was already a successful farmer in the area. He introduced mechanized farming to the Big Bend region, greatly increasing the productivity of his operations. The National Register of Historic Places paperwork states that Albert Dorgan was James Sublett’s son in law. It is believed that Sublett’s previous success led to Dorgan moving to the area prior to them forming their partnership. Dorgan and Sublett formed a partnership called the Grand Canyon Company in 1918 to farm the Rio Grande area, where they extensively irrigated, planted cotton, sorghum, wheat, corn, alfalfa and melons. They named the farm itself Grand Canyon Farms. They bought the acreage for Grand Canyon Farms from brothers Tom and Charlie Metcalf, who already had a ranch and homestead at this location. 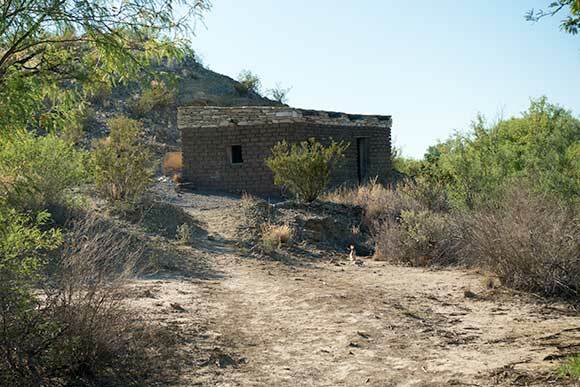 The stone and adobe building you see as you first begin the trail has conflicting history is said to have been the Metcalf’s homestead, which the Dorgan’s lived in until they built their home at the end of the trail. Conversely, it is also said to have been built after the Sublett’s and Dorgan’s bought the land. With the clouded history, it’s hard to be certain. In any event, after Dorgan built his larger house, this building was turned into a store. 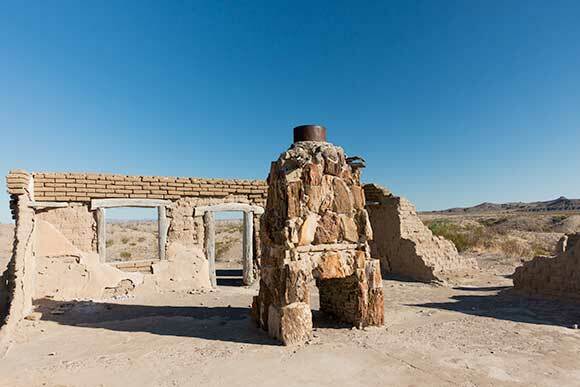 Further up the trail from the first structure, you will see a well preserved adobe house with stone on top known as La Casita. This was built to house the farm hands who worked Grand Canyon Farms. There used to be a small adobe shed next to this building but no features are left of this structure. On top of the hill to the right, you will see where Sublett built his house, though all that remains today is the foundation. It was once a two room adobe house separated by a central hall. After living in the stone farmhouse for about ten years, Dorgan built his house less than a mile northeast of Sublett’s house overlooking the Rio Grande valley. Dorgan’s house was the more elaborate of the two and had large cottonwood beams across the tops of the window frames and a native stone two sided fireplace. It was quite large for the time at approximately 1200 square feet. The area, consisting of the remains of the five historic structures, was added to the National Register of Historic Places in 1974. Unfortunately, not much was done to preserve the area until recently and only traces are left of a once thriving and massive farming operation. Albert W. Dorgan did not move to Texas until 1929, and was not related to J.L. Sublett. For more information, look up Albert W. Dorgan on the Texas State Historical Association’s Handbook of Texas Online. There has been much misinformation about Dorgan, mainly because he was reclusive. See also the article “Letters to Castolon” for more information on the legendary A.W. Dorgan. There is some misinformation out there. Please see the below link for the environmental assessment/assessment of effect put together for the NPS for that particular trail. Page 14 goes into some detail about Albert Dorgan and James Sublett (shows Dorgan as the son-in-law and Sublett’s arrival to the area around 1914-1915). Also linked below that is the nomination for the National Register of Historic Places. Also, the book, The Great Unknown of the Rio Grande by Louis F. Aulbach (Pages 16-19), claims that Sublett bought the Metcalf homestead in 1918 then formed a partnership with Dorgan, but doesn’t give a date of Dorgan’s arrival. We are unaware of Mr. Dorgan’s exact arrival date into the Big Bend area, therefore we left that unaddressed in the post. The misinformation on Dorgan mostly stems from a work in 1969 by Clifford Casey titled “Soldiers, Ranchers, and Miners in the Big Bend.” Casey was known to make historical errors and they were simply handed down over time. I do not claim to have all the answers, but research indicates that Dorgan actually settled at Johnson’s Ranch (sixteen miles downriver from Castolon) in 1929 before moving to Castolon. There are plenty of historical facts on the entry on Dorgan at the Texas State Historical Association “Handbook of Texas Online” website at https://tshaonline.org/handbook/online/articles/fdorg One fact that is established by the record is that Dorgan could not possibly have moved to Big Bend in 1918 because he was training in naval aviation in Miami and Pensacola, Florida before being assigned to the Coco Solo Naval Air Station in Panama in December 1918. To reiterate a point already made, at no point in the post did we state that Dorgan moved to Big Bend in 1918, but thanks for your input.